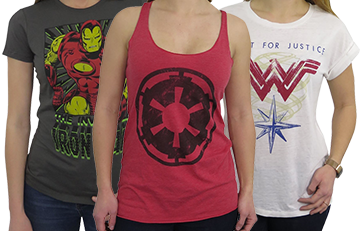 Dress like Wonder Woman to battle evil before bed! Officially licensed Wonder Woman pajamas. Includes a shirt, pants, and star-filled tutu! Because the fight for justice continues after bedtime. Yes, I know -- it's time for bed and you're all tuckered out from battling mystical creatures and a diabolical brother who keeps flicking you ear for attention. 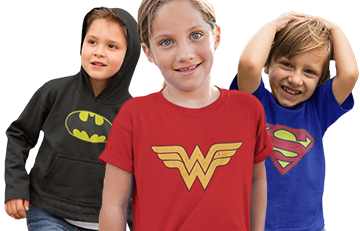 Apparently, he isn't aware that he's dealing with Wonder Woman -- our Wonder Woman Symbol Kids Pajama Set with Tutu will remind him that he's dealing with the legendary warrior-princess from Themyscira. 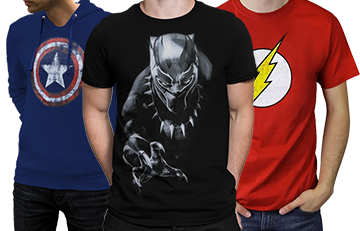 A red, long-sleeve top featuring a reflective, gold-filled Wonder Woman symbol -- 100% cotton. Blue pants with elastic red waistband and cuffs, marked with a smaller, shimmering symbol -- 100% cotton. A fine, elastic, mesh-like tutu layered with a pattern of yellow stars -- 100% polyester. Top runs really small. Order 2 sizes up. Although pants are normal size, which is frustrating. Order up a size. My girl got them as a Christmas gift, but definitely won’t wear them for long. My daughter is 2 and small for her age. We ordered the 3T, and the top is so incredibly tight. Thanks for the feedback Nikki and sorry to hear it didn't fit. Contact our customer service department and we can try a different size or help you with a return. I ordered a larger size than my daughter wears and it still fits very tight.